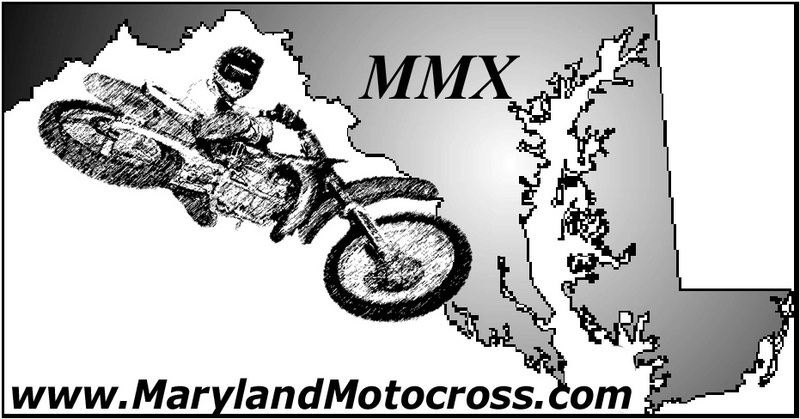 MarylandMotocross.com: Hello, hello, party people, I'm here with Randall Everett, and first off, Randall, WHAT!! is up with your riding number? Randall Everett: Nothing really. 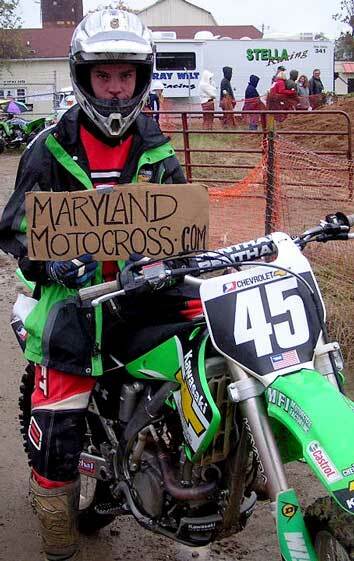 When I got got my first KX250F we bought it off this guy and he had his number on it. I kinda liked it, and I kept it. MMX.com: This past weekend you were at Budd's Creek, correct? MMX.com: Now, I'm not the one asking, my boss is, I just think it was natural, but you were doing some sick whips going off of Henry Hill and other jumps, and it looked almost like the wheel was pointing downward unnaturally, we got some really nice pics, I actually have a superb Polaroid, but umm, Big Mike, or Biggie as we like to call him, said that he thinks you were just hamming it up for the camera, is that the truth? MMX.com: Well, our cameraman was there and you were adding a little spice to your whips, now is that your style, or were you putting on a show? RE: I don't know. I don't think I saw him; I was just riding. MMX.com: You didn't see Kevin Duffy - Guy in Redskins hoodie, black socks, sandals? RE: I saw him afterwards, but I didn't see him while I was riding. MMX.com: I'll tell my boss, right after I slash his tires. MMX.com: What kind of gear do you use when you ride? RE: Now, Fox, I was wearing Shift at one point. MMX.com: Nice!!! Nowadays motocross has become preeeeetty popular, but about 20 years ago it would be like saying today that your sport of choice was Curling, do you know what Curling is? RE: Curling? Curling What? Like lifting weights? MMX.com: 20 years ago, if you told someone that you rode motocross, they'd have the same response that you did to curling. MMX.com: Yeah, but my point is that now that motocross is getting pretty big, do the people know that you are one of the top competitors at your level in the sport, or is riding something you keep to yourself? RE: I don't know, a lot of people at my school know about it. A few people at my school are riders too and I guess they may have mentioned my name to others, so now a good deal of people know about me? MMX.com: I see, so when you ride, what is going through your mind? Are you thinking of the race, what you have to do, are you in another zone, or what? RE: I'm not sure, I guess in some ways, while I have to react, I'm mostly in another zone. MMX.com: If someone new to the sport asked you for some advice, what would you say to them? RE: I'd definitely tell them not to take it too seriously. They should always have fun with it. MMX.com: We know that you're a respected rider that wins a lot and sometimes you don't always win, do you ever feel a lot of pressure when you don't win? RE: I feel pressure when I don't win, but when I win, there is a building pressure that I have to continue doing so. MMX.com: Are you hard on yourself when you don't win? RE: I feel bad yes, everyone does. I, actually am harder on myself when I do win. I always look at how far I pulled away and stuff. When you win or are able to beat someone, everyone trains harder to beat you. So, ironically, you have to train even harder to stay on top. MMX.com: Well, that's good. a lot of people that win get cocky, overconfident. From what I hear, you have a strong head on your shoulders and that you keep things in perspective, and that's the difference between a winner and a champion, so I just wanted to commend you on that sir. MMX.com: (Sob) I promised myself I wouldn't cry... Just kidding, so what hobbies do you have besides motocross? Is there anything else that you are into? RE: Well, there are a couple other things that I like to participate in. I also like to play basketball. I also DJ? MMX.com: Oh yeah? Vance Dj's, Do you play regular music, remix, house, techno...? RE: I actually stick to battling and scratching. MMX.com: Olllllllld School. So, I'm sure you definitely know who Grand Master Flash is? RE: Ohhhh Yeah. You bet. MMX.com: Sooo, I'm sure you know who Austin Powers is, but do you know who Pootie Tang is? RE: (Laugh) Yeah, I know who both of them are (laugh). MMX.com: Do you think if they met they would fight each other or would they fight together? RE: (Hard laugh) Ummm... They would probably have disagreements, but they would fight together for the most part. MMX.com: So who would you say is your favorite rider? 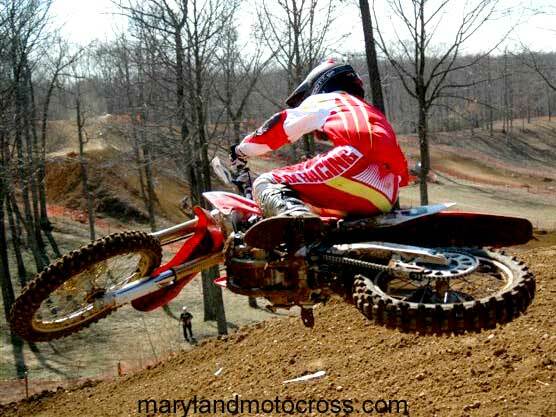 MMX.com: The "Bubba Scrub" is a technique that helps increase his time, do you think that is a good technique? RE: Definitely. I'm always trying to save time by scrubbing, everyone does. If you are more worried about how high you jump, then you shouldn't be upset when you don't win. MMX.com: What would you say is your worst motocross moment ever? RE: Every time I crash it feels like it's my worst moment, but when I was on my 100, in my second moto, I was at Loretta's; another rider hit my bike and snapped my ankle. I haven't had anything that compares to the pain I felt then. MMX.com: What would you say is your goals for the future? RE: I guess to go Pro eventually. 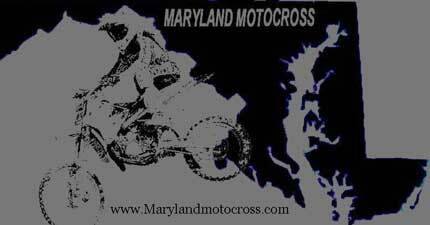 I'm going to try to qualify for a couple Nationals this year. MMX.com: Do you see yourself trying to compete against Stewart, Carmichael and others. 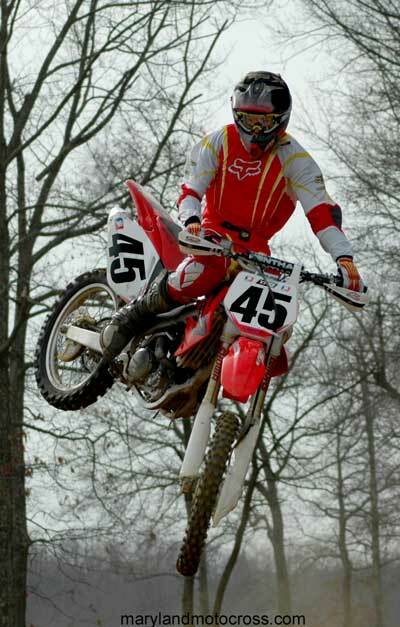 RE: I would love to go Pro, how far I will get, I don't know, but if I don't stay in motocross, I'll hopefully get into my parents' business. MMX.com: You mentioned Loretta's. Is that one of the National events that you had your eye on this coming year? RE: Loretta's is one of the top ones on my list. MMX.com: One of our staff members, I can't tell you who, but his name begins with Scooter, wants to know if motocross has helped you in the chick department? MMX.com: Yeah he wants to know if being in motocross makes you seem dangerous or exciting to them. RE: (Laugh) I don't think so. I don't think it has. No, I don't think it helps (laugh). MMX.com: Who would you say are a couple of the top female competitors out there? RE: I don't get to watch Women's Motocross that much, but I've seen both Jessye Davis and Amber Farley and they're both really good. MMX.com: Do you think we could talk Jessye Davis into joining our motocross team? RE: (Pause) Ummm... isn't she already on your team??? MMX.com: (Laugh) Yeah, most people don't know that it's usually an inside joke, I used to mess with the people that I interview, but, uh, I guess you caught me, I'm busted... Congratulations. MMX.com: You recently changed from Kawasaki to Honda, right? MMX.com: What would you say are the differences or benifits of the change? RE: I like the way that Kaws handle turning, but I'm really into the Hondas more, the things I'd have to say makes the Honda my favorite is it's suspension. MMX.com: If you had to choose between a Vete, a Viper, and a Volkswagon? RE: I like the new Corevette; that's the one I'd probably choose. MMX.com: If you had the power for one day to change anything in motocross, what would you change? Most people usually go for more money. MMX.com: I personally would rather have Street Rep over trophies any day. MMX.com: Who would you say has been the most supportive when it comes to your sport? RE: Most certainly my dad. He is the one who got me into it and it's pretty much been me and him the whole time. MMX.com: And who would you say are some of your closest friends in motocross? They can be medics, flaggers, or riders. RE: Among others, I'd have to say Devon O'Neil, Wayne Smith... John Higbee... Zach Lee. That's just a few of them. MMX.com: Have you ever raced against a women on the track? RE: Oh yeah. Actually, it might have been Jessye Davis, when we were on 80s and she beat me and it really made me mad (laugh). And...that's the only time I really remember. I was trying real hard to pass her and I crashed. MMX.com: So do you think it's a good thing that the amount of women in motocross is increasing? RE: Oh yeah. It is. MMX.com: Did you do (Robbie) Marshall's Jump? MMX.com: What? You didn't feel like trying it? Just scoping it out? RE: I'll probably never try it. From where I was standing, it seemed impossible. RE: I mean, it's not really impossible, if I really worked at it, I would be able to do it with a whole lotta effort. Right now I'm too scared (laugh). MMX.com: We'll see what the future hold's, some day you may do it without even thinking about it and laugh about what you're saying now. RE: (Laugh) I doubt I'll ever overlook any jump, but we'll see. MMX.com: All right Randall, thank you for your time and we'll see you on the track. RE: Okay, thanks for the interview.